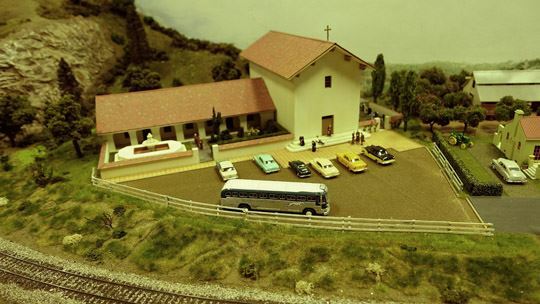 Mission San Miguel is a 40' area of the HO layout which is undergoing a complete redesign, to display an aspect of California heritage . To learn more about its history, you may read the Winter 2017 issue of the SBHRS newsletter, available at www.sbhrs.org/news. Here are views of some of the new modules being built as part of Mission San Miguel.